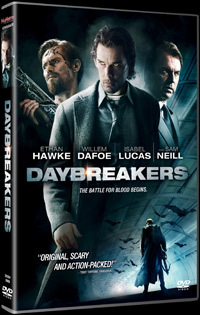 With a theme that has seen light in other subjects like True Blood, in Daybreakers the vampire breed is out in the open, in fact, dominating - but they are now outnumbering the humans, and hence running low on their food supply. Human blood factories are running out and vampires feeding on their own start to mutate. One vampire (who refuses human blood) is running a research project to solve the crisis. 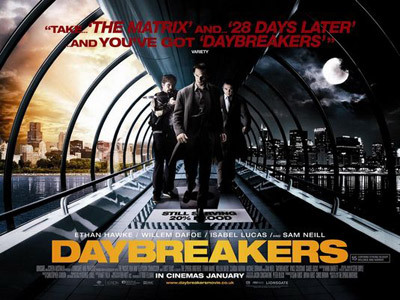 He accidentally stumbles upon a possible (but dangerous) solution, while the authorities are on his trail with his new resistance collaborators. The Australian director sibling duo who brought us the fun zombie flick Undead make their big budget debut and does a very fine job of it. The vampire genre has taken many twists and this is an exciting, action packed addition to that tradition.